Scent: Floral, fresh, sweet, with a fruity note. Action: Antispasmodic, antitumoral, adrenal cortex stimulant, anti-inflammatory, astringent, hemostatic, anti-infectious, antibacterial, antifungal, revitalizes skin tissue, cicatrisant, cytophylactic, diuretic, deodorant, styptic, tonic, vermifuge, vulnerary, dilates bile ducts for liver detoxification. 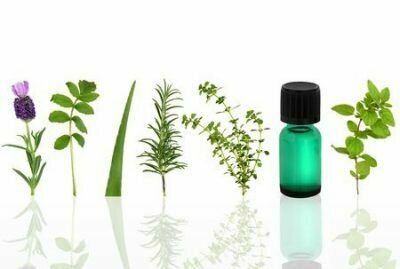 Benefits, Indications: Skin conditions (dermatitis, eczema, psoriasis, vitiligo), herpes, shingles, bleeding, tumor growths, hormone imbalances. May be used for acne, burns, circulatory problems (improves blood flow), depression, gingivitis, liver problems, sterility, digestion, insomnia, menstrual problems, neuralgia (severe pain along the nerve), regenerating tissue and nerves, pancreas imbalances, ringworm, sore throats, and wounds. Also recommended for liver disorders and hepatitis. More Info: Geranium oil can be used to help in the treatment of acne, bruises, cuts, hemorrhoids, lice, as a mosquito repellent, ringworm, ulcers, breast engorgement, edema, poor circulation, sore throat, tonsillitis, PMS, menopausal problems, stress and neuralgia. This uplifting oil has a great all-over balancing effect on the mind and this uplifting property also extends to the effect it has on the skin – where it helps to create balance between oily and dry skin. It balances the sebum, which is the fatty secretion in the sebaceous glands of the skin that keep the skin supple. Helps cleanse oily skin and restores and enlivens pale skin. It helps to sort out emotions – where it helps to relieve feelings of stress and anxiety, and also works on the adrenal cortex, which has a balancing effect on the hormone system. Precautions: Geranium oil does not cause any side effects, since it is nontoxic, non-irritant and generally non-sensitizing, yet can cause sensitivity in some people and due to the fact that it balances the hormonal system, it might not be a good idea to use it during pregnancy.